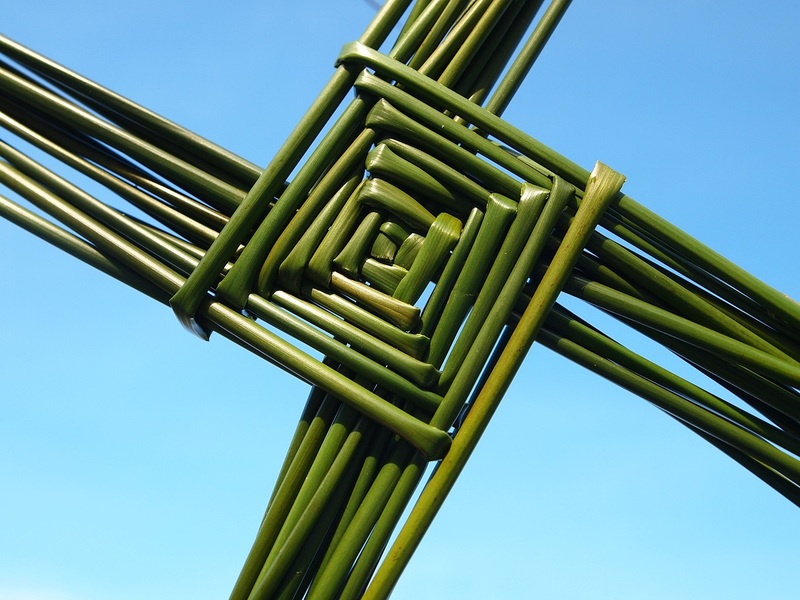 Today the first of February is St Brigid’s day in Ireland. It is also seen by many here as the first day of Spring. With Storm Henry blowing outside it still feels a bit like winter! But there is a definite change in the light, which is always nice. One of the lovely traditions of this day is the making of St Brigid’s crosses. Agoyvaerts has a lovely tutorial on her blog which is well worth a look. This is one I made last year. We’ll be making some “modern” ones later with our local ladybirds group (like girls scouts for 5-7 year olds) using fuzzy pipe-cleaners in bright colours. The pipe-cleaners are a little easier for little hands. So wishing you all a happy St Brigid’s day and a Happy Spring!! This entry was posted in Rural life and tagged Ireland, Spring, St Brigid's Cross, St Brigid's Day, traditions on February 1, 2016 by Murtagh's Meadow.